This year’s CIMSEC HQ Christmas party featured a number of ‘unofficial’ polls on the main naval developments of 2014 and prospects for 2015 (the results of which can be found in CIMSEC’s Twitter feed). These provided a most interesting glimpse both of recent events and of what the immediate future may hold in store. Needless to say, 2014 has indeed been an eventful year in the maritime domain, not least in the Indian Ocean-Pacific Region. 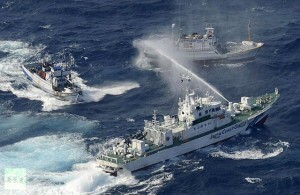 One of the main challenges of the year, highlighted in the polls, is how to respond to the use of non-lethal force, that is to coercion by means of a limited amount of violence, designed to gradually expand control over disputed bodies of water without leading to casualties or a major reaction by the victim country and other maritime democracies with a stake in freedom of navigation and the rule of law at sea (also known as “Salami Slicing“). This non-lethal force approach usually features coastguards, other state agencies, oil rigs, and civilian vessels (mainly trawlers) in lieu of navies. The difference is often rather academic however, due to the size, capabilities, and numbers of some of the vessels involved. Equipped with modern communication technologies these forces are bound together not just by institutional links but also subsidies, participation in part-time militias, extreme nationalism, and an integrated whole-of-government approach to the maritime domain. They operate in the grey areas between peace and war, naval warfare and law enforcement, public security and private enterprise, and have made significant advances in areas like the South China Sea. The use of ramming by these forces, rather than firing, is a reminder of ancient times, yet state of the art of technology is still very much in display. While Beijing’s inability or unwillingness to take a Bismarck-like step by step, divide and rule approach to expansion has helped usher a new era of regional cooperation, contributing to the U.S.-Vietnamese reconciliation and Japan’s normalization as a military power, unless naval planning is geared toward the whole spectrum of conflict, including undeclared non-lethal wars, we risk preparing for a conflict that will never come, losing instead the one that actually takes place. We should never forget that, as the saying goes, the enemy has a vote too. Two brief historical references may prove useful. First, the roots of President John F. Kennedy’s insistence on developing a strong counterinsurgency capability lied in the previous administration, but it ultimately derived from a recognition that it was not credible to threaten to employ nuclear weapons or massive conventional forces against every single instance of aggression (“trip wire approach”). Similarly, it is not credible to threaten naval war against any attack on freedom of navigation or against any grab of maritime territory. A revisionist power aware of this may react by adopting the gradual “Salami-slicing strategy” approach, pushing, never carrying out any individual action likely to trigger in and by itself an armed response. Faced with such strategy, and taking into account China’s extensive economic connections with the United States and other major powers, the prospects of conventional force being employed to stop Beijing’s expansion seem rather slim. This is not to say that the modernization of nuclear weapons and the continued reinforcement of traditional naval power should be neglected. However, these two legs should be accompanied by a third one, giving rise to a whole-spectrum capability able to withstand any challenge to peace and security in the Indian Pacific-Ocean Region, freedom of navigation, and the rule of law at sea. 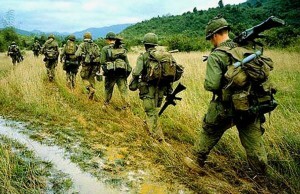 A second useful historical reference may be the United States’ Vietnam, or Second Indochina, War. Almost half a century later, historians still debate why the Republic of Vietnam, the United States, and their allies did not prevail. One major school of thought argues that it was self-imposed restrictions, in other words a failure to wage a more total kind of war, which doomed Allied efforts. As evidence, they point out that it was conventional troops, not guerrillas, which delivered the coup de grace to South Vietnam in 1975. Another major school of thought argues that it was the failure to master counterinsurgency, and more widely nation-building, that ultimately doomed the efforts to save the Republic of Vietnam. Without entering this debate, we may perhaps note that in Vietnam it was not just conventional or insurgent forces that one faced, but both, and that any lasting victory required prevailing against the two. Furthermore, while some restrictions may seem or even plainly be irrational and self-defeating, simply criticizing them leads nowhere. The military cannot live in a fantasy land where total war is the rule and limits are few. Historically this has not been the case, and also because in today’s complex web of international relations and extensive economic connections, any “tripwire” or “massive retaliation” strategy is unlikely to enjoy the necessary political support and thus deterrence credibility. Therefore, the need to be flexible and able to deal with very different scenarios simultaneously is one of the great lessons from that controversial war, and one equally applicable on land and at sea. It is, to mention a relevant example, one of the inspirations behind the U.S. Marine Corps’ “Three Block War” concept. For the disputed maritime spaces in the Pacific this means that countries in the region and other interested parties such as the United States need to develop a full capability spectrum. With conventional naval warfare on one extreme, it must extend to non-lethal violent clashes on the other, and cover all intermediate scenarios. This must be the underlying rationale for acquisitions, doctrine, regional cooperation, and training. It will of course require an additional effort from everyone involved, but there is simply no alternative. 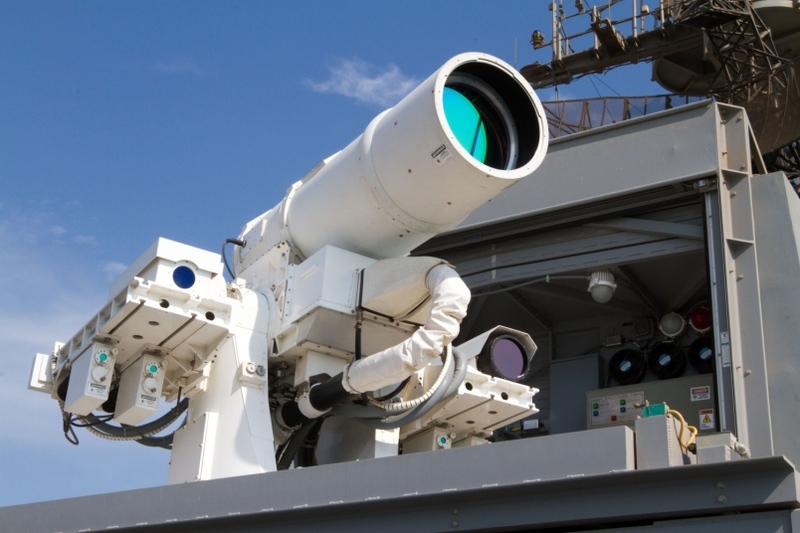 Some of the weapons systems currently in development hold great promise in the event of hostilities breaking out, but there is no realistic prospect of their use being authorized short of a major conflict, a scenario that right now seems remote. Just to show how remote, a comparison with Russia is useful: replicating the sort of sanctions directed at the Kremlin is simply unimaginable, and has never been suggested when discussing Chinese expansionism (although there is indeed a discrete trend away from FDI in China by countries like Japan). 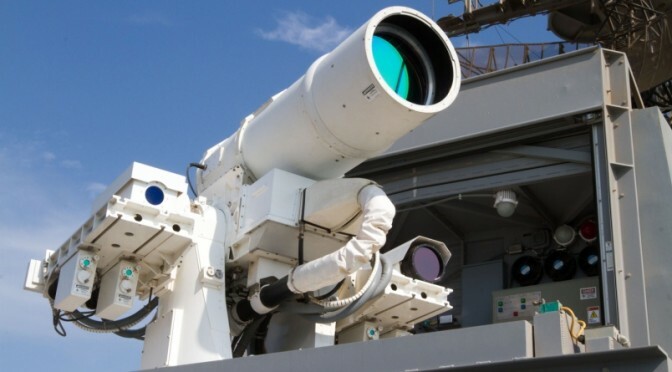 In other words, lasers, just to give an example, are great, and their development surely must continue, but they will not stop a trawler fleet or an oil rig, simply because the necessary permission to fire will never come. This does not mean that there is no way to counter such tactics. Coast guard capacity building, one of the main pillars of Japan’s security and defense cooperation with the Philippines and Vietnam, is a major step in that direction. It should not be seen, however, as an isolated step, but rather as one of many to be taken in the coming years. What we face is a long, undeclared, mixed, war at sea. A war without great battles or big names, without campaign medals, a war where many advanced weapons systems will merely be silent witnesses. It will be one, however, whose ultimate impact on future generations will be as great as many of its more heroic, spectacular, counterparts. A war that maritime democracies cannot afford to lose. Alex Calvo is a guest professor at Nagoya University in Japan and focuses on security and defence policy, international law, and military history in the Indian-Pacific Ocean Region. He tweets at @Alex__Calvo and his work “China’s Air Defense Identification Zone: Concept, Issues at Stake and Regional Impact” is available at the Naval War College Press Working Papers. Pingback: ASYMMETRIC NAVAL WARFARE: NEXT STAGE IN THE SOUTH ATLANTIC CONFLICT?